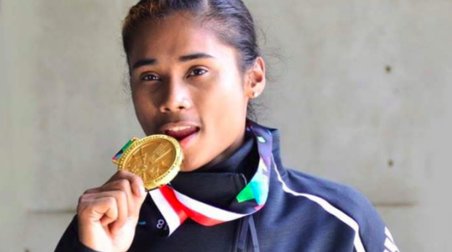 Assam’s sprint queen Hima Das’s tremendous success at the international athletic meets has prompted National Anti-Doping Agency (NADA) to monitor her future performances. She has emerged one of the country’s brightest medal prospects at the 2020 Tokyo Olympics with a historic gold (400m) at the World U-20 championships in Tampere and multiple medals at the Jakarta Asian Games. Hima has been included by the anti-doping watchdog in its ‘Registered Testing Pool’. It means she will be subjected to more frequent ‘out-of-competition’ testing during her training and off-season time, apart from the regular ‘in-competition’ testing during the meets at NADA’s laboratory. Top athletes are included in NADA’s RTP with ‘high, medium and low risk’ depending on parameters like power, endurance and chances of an athlete’s medal-winning prospects. Sportspersons participating in power games like athletics, wrestling and boxing, among others, are put in ‘high risk’ of the RTP. It has been done to protect Arjuna awardee Hima from the danger of any possible use of performance-enhancing drugs given her profile as the rising star of Indian athletics, according to NADA, reports TOI. “But at the same time, NADA wants to ensure that she remains clean, without getting into the danger of doping. NADA wants to clarify that in no way is it casting aspersions on her previous medal winning performances,” said a NADA official.